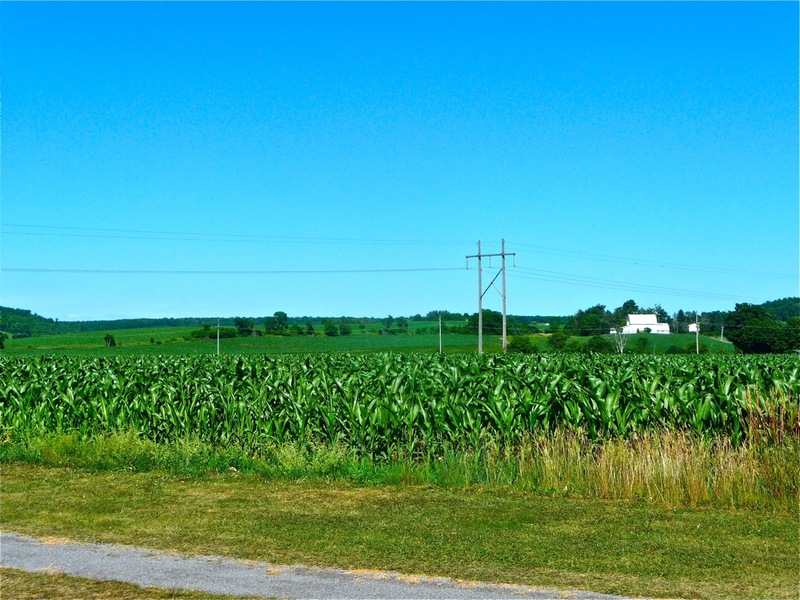 View from Route 20 of Springfield and Cherry Valley. View from back of Springfield Town Hall, Springfield, N.Y.
A ride down East or West Lake Rds. (Routes 31 and 80, respectively), hugging the 10-mile long Otsego Lake, is a great start to the scenic countryside with its stunning water views juxtaposed with rolling hills and the distinct-looking Sleeping Lion Mountain (it sort of looks like a sleeping lion). On the west side, the trees give way to some stunning full views of Lake Otsego, with the color of the water changing daily, based on climatic conditions. 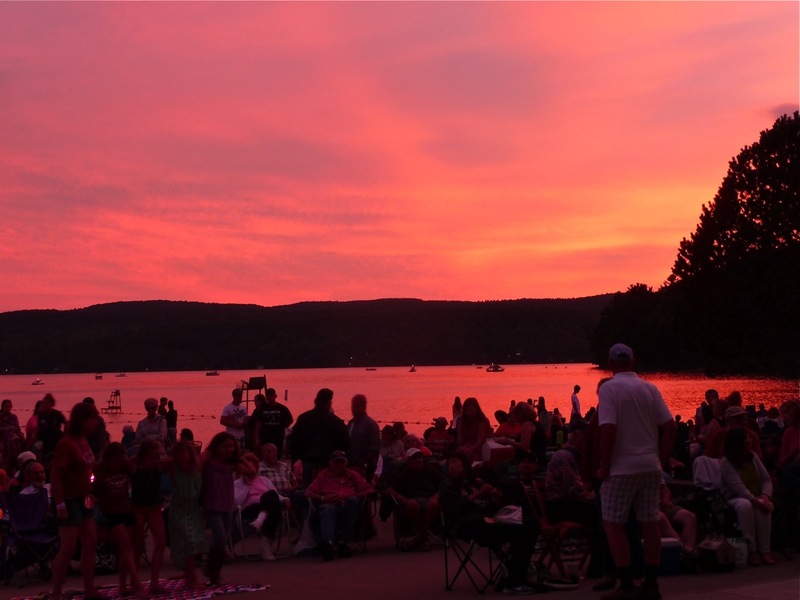 On the shores of beautiful Otsego Lake on the Cooperstown-Springfield line (Route 80) is the Glimmerglass Opera, a world class company, attracting 32,000 patrons each season to its beautiful Alice Busch Opera Theater on Otsego Lake. 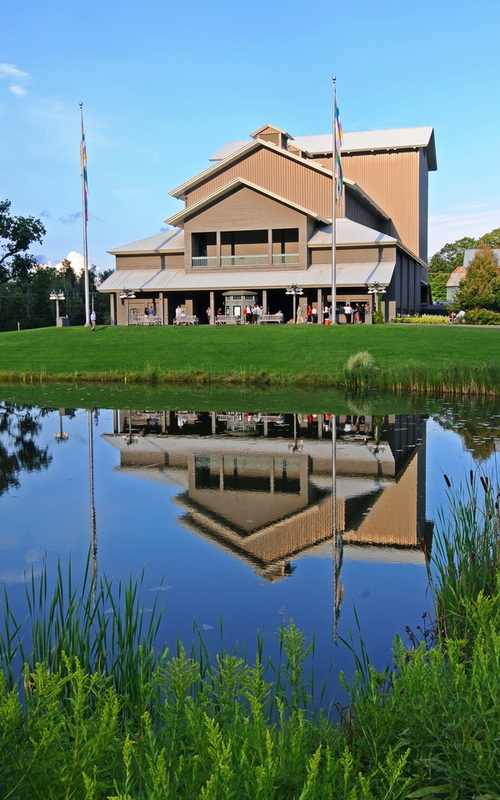 Glimmerglass Opera, Cooperstown, NY. Photo by Franke Forte Photography. All work is copyright protected. Taking a right at the Glimmerglass State Park sign after the Opera building and the end of the lake affords spectacular views of the countryside, with endless green fields, pretty farms, deers feeding in the grass and the scent of mountain fresh air. This area is especially beautiful later in the day with the big skies offering incredible sunsets, followed by a piercing moonlight on clear nights. 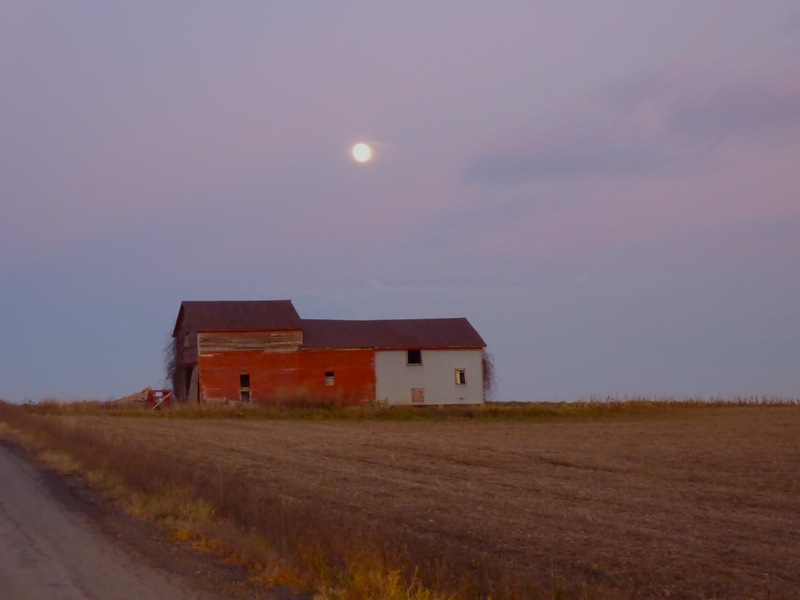 Farm under early evening moonlight on Allen Lake Rd. near Route 20 in Springfield. Glimmerglass State Park at sunset. Next to Glimmerglass State Park is the beautiful Hyde Hall. Hyde Hall promotional literature accurately says it all: "Hyde Hall is a stunning reminder of a bygone American era when families of English aristocracy established vast estates in the former colonies. The house itself may well be the finest example of neoclassic country mansions anywhere in America. Roger Kennedy of the Smithsonian writes that Hyde Hall is "a great house, architecturally, and a social document of the first importance." The late former Sen. Daniel Patrick Moynihan called Hyde Hall "one of the most remarkable buildings in America." A ride into the country will not disappoint either, particularly Fly Creek. A five minute drive from the Village over the hill on Route 28 (from Chestnut Street), Fly Creek is a true charmer with the down-to-earth, find-it-all-here Fly Creek General Store, some great homes with views of the valley and the Fly Creek Cider Mill. The Cider Mill is a turn-of-the-century water-powered mill with delicious apple cider, great box lunches (wonderful pulled pork and homemade pies), a picnic area, extensive two-story gift shop, and Fly Creek where kids can feed the ducks. The Fly Creek Cider Mill is rural American business at its best -- a viable, well-run operation where all employees work hard to ensure customers have fun and come away with good products. You simply can't get better cider anywhere else. Surrounding villages like Richfield Springs, Cherry Valley, Milford, Middlefield and Springfield have scenic rural beauty, some nice antique shops, and lack of development that breeds a sense of pride that the past can somehow be maintained in today's much fast-paced world.These types of villages are worth visiting as a complement to your Cooperstown vacation. 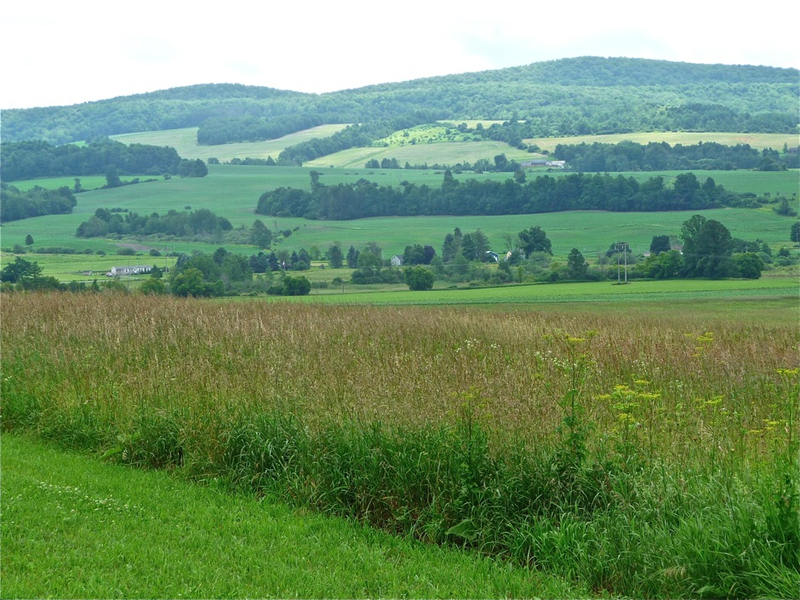 The combination of visiting Cooperstown and the nearby small rural communities indeed make for one of the best vacations in New York state. It is a place of unspoiled land, great scenery, and, of course, lots of fun. Spring flowers with distant views of Mohawk Valley and Adirondack Mountains from Route 20 in Cherry Valley. Please share this story with family and friends. Thank-you so much!